Award-winning Canadian harp player Alys Howe divides her time between classical pedal harp, Celtic lever harp, and explorations into the developing field of electric harp. 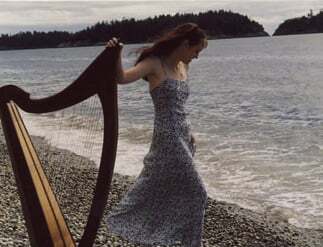 Alys has studied and performed on the harp throughout Scotland, Ireland, Vancouver, Toronto, and the East Coast of Canada. A founding member of the Celtic band Leum! (“jump” in Scottish Gaelic), Alys also performs as a duo with Celtic and classical flautist Jennifer Publicover; in an electric harp duo; in cover-band Ginger and Pimms; and with fellow harper and vocalist Seumas Gagné. She has appeared in orchestras such as Vancouver Symphony, Vancouver Opera, National Youth Orchestra of Canada, Vancouver Island Symphony etc, and as accompanist for choirs such as Persephone, Pandora’s Vox, and Jubilate Choir. 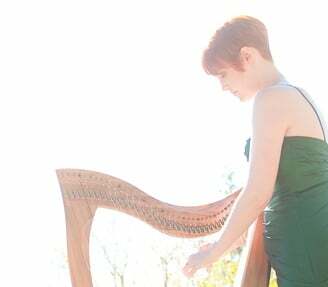 Alys brings more than 20 years of expertise as a harp player to her appearances in concert, the recording studio, as an instructor, leading workshops, and to your Nova Scotia wedding or special event. Preview Alys Howe’s debut CD phosphorescence, and other audio and video music samples on this website, and experience the harp – the most aurally and visually lovely instrument in the world – at its best. One of the most ancient and fascinating instruments in the world, the harp has been enjoying a true renaissance. Players all over the world are currently pushing the boundaries and expanding the capabilities of this instrument in every way imaginable, and Alys has had the unique opportunity to be at the forefront of these exciting developments in Scotland, Ireland, and North America. The perfection of the harp lies in its versatility: its tone is mellow and soothing, yet in the hands of the right performer, it can be equally exciting when occasion demands. 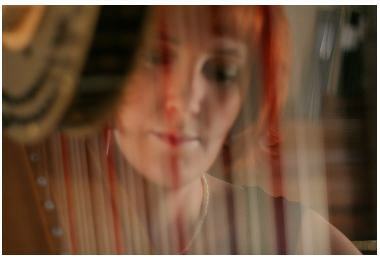 Alys Howe is a harp player whose versatility equals that of her instrument. With a BFA Hons. 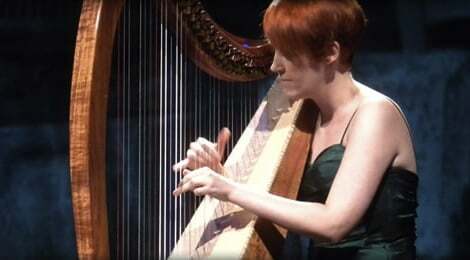 Music Performance on both classical and Celtic harp, an M.A. (First Class Hons.) Music Performance in Traditional Music, Alys has an extensive and unique repertoire of Celtic music and Gaelic songs, classical music and entertainment repertoire, that sets her apart from other performers.